The Episcopal Diocese of Colorado implemented an innovative approach when they surveyed parishes in the diocese about need for leadership formation and stewardship assistance. The results of their survey indicated a need for education and sharing ideas of best practices. 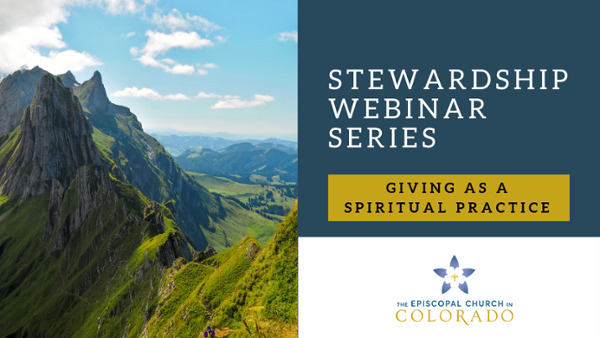 Church Development provided the technical assistance for the webinar series, and president Denis Greene presented content for two of the webinars for no charge. "We are so grateful to work with you and have your insights, wisdom, and expertise, Denis. I liked the interaction between us and Denis and felt it was good for him to take the lead then, for us to pitch in." Thank you so much for all your support! And Denis, thanks for being your amazing, expert self. My husband has been a participant in this series, and especially loved all of Denis’ statistics. It’s very generous of you to offer to help.